UCL have taken the lead and will be paying the Living Wage. KCL have not: this is out of order. 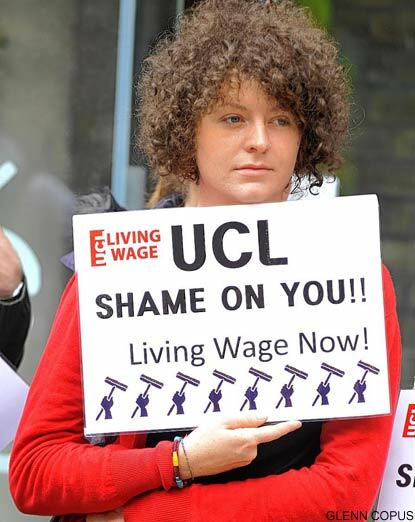 The fact that UCL have agreed to pay the Living Wage before KCL is shameful for us. Malcolm Grant, Provost of UCL, gave a firm commitment to pay the London Living Wage to all contract staff at University College London on September 28th. Approximately 200 cleaners and catering staff are due to benefit from the introduction of the London Living Wage of £7.85 an hour, many of whom are currently paid £5.80 an hour (the national minimum wage). The decision follows the humiliating coverage that UCL received in the Evening Standard the week before, for initially rejecting to pay the Living Wage whilst Malcolm Grant earned an annual pay package of £404, 742, and the decision of UCL academics to write publicly to Mr Grant urging him to pay the Living Wage. UCL is the latest London university to sign up for this higher rate of pay – with commitments already made by Queen Mary, London School of Economics, Birkbeck, Goldsmiths, School of Oriental and African Studies, London Business School, Institute of Education and the London School of Hygiene and Tropical Medicine. It is a travesty that King’s College London has not joined the community of Living Wage employers yet. 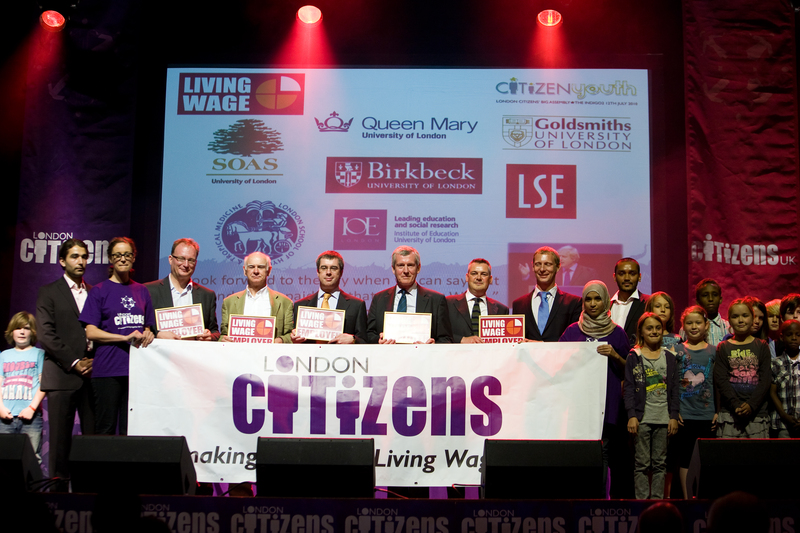 I was at the CitizensUK Youth Assembly when I saw competing universities of KCL being acknowledged as LW employers. It was frustrating for me. Students and staff at KCL have been campaigning for a Living Wage since 2008. It is a disgrace that some of the staff at our university are not earning the basic wage needed to survive in London. It makes good business sense and it is the right thing to do. If our university wants to live up to being an ethical institute and ‘creating a healthy society, in every sense of the word – body, mind and spirit’, the first place to start is within the university walls.